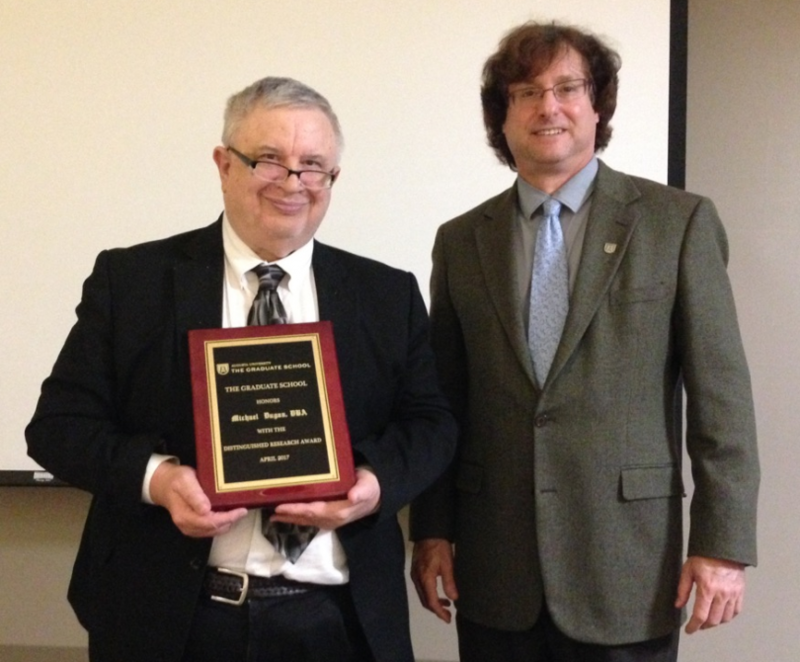 Michael Dugan, Ph.D., received The Graduate School’s Distinguished Research Award on Wednesday, April 19, 2017. This award is presented to a member of the Graduate Faculty who has brought recognition and honor to Augusta University for their research. Professor Dugan’s primary research is in the area are bankruptcy prediction models and their application in accounting practice as an early warning system in avoiding bankruptcy, as well as using accounting information to measure different dimensions of corporate risk, which is very relevant to creditors and shareholders in their lending and investing decisions. His distinguished research record consistently lists him as one of the most productive scholars in the field of accounting.